Something like Smash Run would have been nice to have again. I really liked that mode from Smash 3DS and always hoped they might expand on it somehow. Yeah no stage builder in this one. It was probably for the best, I don't how they did it but it was marginally worse in Wii U somehow. I think my biggest disappointment so far is the confirmation of no trophies. It was my favorite part of Melee and later games, I'd spend hours chilling and reading trophy descriptions. My impression so far is that Sakurai is trimming some of the fat that previous Smash games have had. No extra modes like Targets and Home-run contest, All-Star has been re-purposed as Multi-Man Melee, and less collectibles. It's not a bad decision, most players barely even touch this content. I imagine trophies were given the cut to make the deadline for this game releasing this year, considering the amount of effort of creating the models and writing/translating the flavor text. 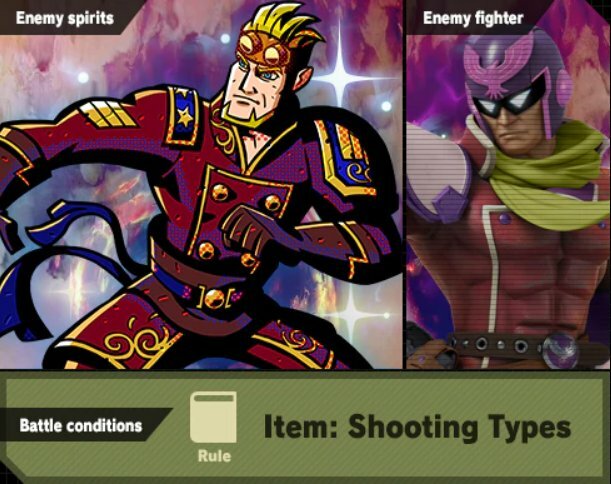 I can't say I'm very excited about Spirits, either. It seems like a pseudo-gacha system designed for busy-work. World of Light looks interesting, and a nice vehicle for exposing players to challenges and the Spirits mechanics. I would have liked to seen Smash Run stay. It's a nice divergence from the traditional Smash competition, and could have been expanded upon. At the end of the day, it's still Smash and a product of love from Sakurai. So I'll be there day one. But as someone who's play over 700 hours of Smash 3DS & WiiU, nothing about Ultimate has me very excited besides the new character additions. Yea that was a bummer. I like targets and home run contest, so it's kind of disappointing to see those cut. Yep. It's still on my list to get. Tho, I mentioned this about World of light, not only are worlds colliding but so is Nintendo's gameplay ploys the series they represent like Pokemon, FE and Kirby. Sakurai somehow did that and even mixed that with previous modes of Smash like event modes scenarios, the look of Smash Tour, the stickers/Smash Run power up feel and slight SSE event horizon too. That's what makes this mode such wonder blending all these concepts and gameplay elements. I will say I'm a bit disappointed Rex is relegated to as a Mii costume rather than an actual character. Especially considering Xenoblade 2 is easily the most successful of anything MonolithSoft have produced for Nintendo. Though they did get some good details in with it choosing to go with Pyra's weapon as the primary and even having a lil Azurda in his helmet bobbing about. With that being said, ARMS was also a breakout success and it has no character representation either outside of Spring Man as an Assist Trophy and Ribbon Girl as a Mii outfit. I do hope that music from XBC2 makes it in, though because it has some really great tracks that would work awesomely as battle tracks. Someone had to do it but tho I like some of the scenes match up with the material most isn't one to one. Which is a little jarring. Watching the Direct again I had totally forgotten about Smash Bros 3DS. There were some stages I thought were new at first and then the "oooooh yeah!" hit me. Man, I haven't touched that since Smash 4 Wii U came out. I do have fond memories of Smash Run, though. I’m sorry... did anyone actually fall for the grinch leak? I agree Incineroar is underwhelming but I love the inclusion of Pirahna Plant. Just so... different of an idea. Looking forward to trying it. I would really like Geno and Banjo-Kazooie as two of the DLC fighters. But I don’t know... mostly I just hope we don’t get just another Fire Emblem clone. *All of Bayonetta's smash attacks deal less knockback, have slightly less range and slightly more startup and ending lag. *Held neutral aerial and up aerial have increased landing lag. *Forward aerial's knockback appears to have been altered. This means that the first hit of it can no longer combo into After Burner Kick, Witch Twist or the move itself at low to medium percents. *Up aerial's knockback has been reduced substantially, resulting in the move KOing opponents much later. *Down aerial's knockback appears to have been lowered. *If the first hit of Heel Slide is blocked by a shield, she will be unable to use the second hit. *Bayonetta can no longer use another After Burner Kick if it collides with an opponent's shield. This prevents multiple mixups and ledge getup options. *Downwards After Burner Kick can no longer be autocancelled. *Witch Twist has increased startup and can no longer grab the ledge until the move ends or with proper spacing. This allows her to be easily punished. *Witch Time no longer grants intangibility when used, and its effect duration has been significantly lowered. It also has increased ending lag. Oh, thank goodness. Bayonetta is the Meta-Knight of Smash 4. I'm also hoping that Smash 4 can continue to be played competitively--Ultimate's visual effects are excessive, and making a game faster does not make it more skillful--it just eliminates the possibility of players reacting rather than just predicting. Does your source say anything about Villager and Wii Fit? Villager has a few nerfs balanced out by mostly buffs. WFT's only nerf is to her Final Smash. ... Maybe Wii Fit has a ton of buffs waiting to be found once someone actually uses her. I did notice in the Treehouse stream that her two healing moves are still just 2%, so I can't get my hopes up. Smash 4 didn't even try to make her playable. I wonder if they'll remember StarTropics as well. I think it's only appearance in Smash has been in the Chronicle; no trophies, no stickers, nothing. He'd be an easy one to make as a Spirit Battle; I mean, come on, who else in Smash attacks with a yo-yo and baseball bat?